MSI N460GTX Hawk is now official: N460GTX Hawk @ MSI.com. 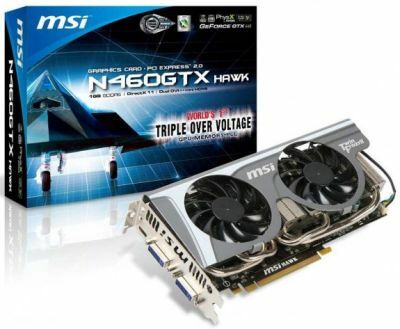 MSI’s N460GTX Hawk is the new GeForce GTX 460 for the enthousiast. 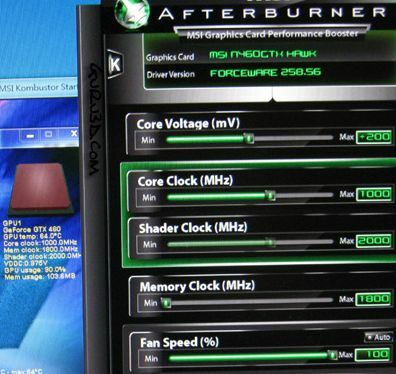 This card is designed for overclocking with a 7+1 multiphase VRM, V-Check points to read GPU, memory and PLL voltages (like MSI’s R5770 Hawk), military class components and the efficient Twin Frozr II VGA cooler. MSI’s N460GTX Hawk, that should be available very shortly, is announced with a TDP of 180W and its price is around 220 euros.